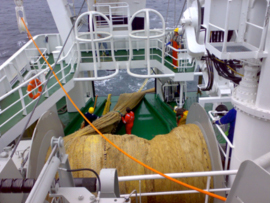 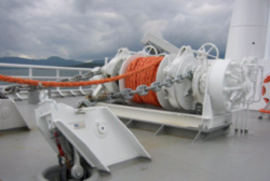 Trawl winches with pull up to 150 tons and drum capacity of 4000m trawlwire. 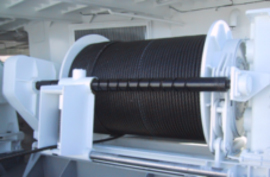 Purse seine winches with free wheeling system or mechanical clutch. 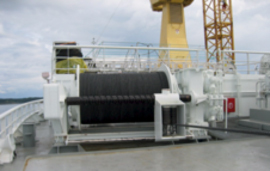 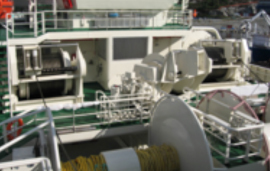 We deliver all standard winches as windlass, capstan and tugger winches onboard. 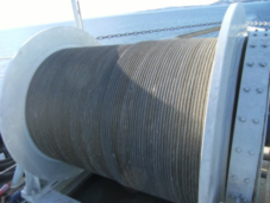 The net drums is delivered with capacity up to 50 cubm and pull capacity up to 150tons.